Urgent and decisive action is needed to bring a halt to the motoring misery caused by over-running road works, according to the RAC Foundation, as the 2008 ALARM survey reveals today (2) for the first time the true number of trenches dug by utility companies. Every year across England and Wales utility companies are putting 2.5 million trenches into local authority roads – the equivalent of 1500 Albert Halls of holes* – and the congestion that results costs the UK an enormous £8.6 billion**. The ALARM survey also reveals that the average local authority road surface will be eligible for a pension before its turn comes up for resurfacing: due to lack of funds, the average wait for resurfacing is now 65 years. The RAC Foundation has been running a campaign for years to try to reduce the chaos caused by long drawn out and un-coordinated roadworks. Long-delayed powers set out in the 1991 New Roads and Streetworks Act and 2004 Traffic Management Act will be available to local authorities from 1 April 2008. The Foundation is urging all councils to make maximum use of these new powers*** to penalize those firms who refuse to co-ordinate their works with others, who fail to complete works in time, or who leave the road surface in a dangerous state and refuse to pick up the tab for repairs. The Foundation has also warned that fines imposed on companies who dig up our roads must not just be passed on to the consumer. 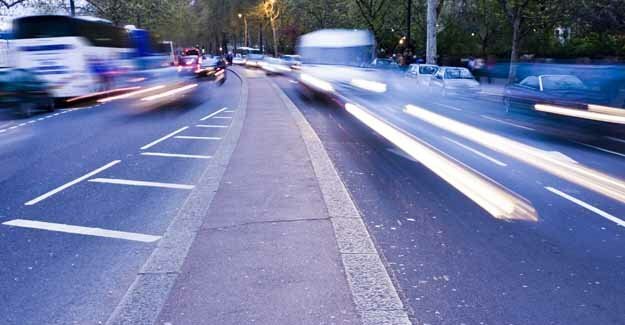 Stricter financial penalties should improve the speed and performance of utility and telecoms companies, and are the only way to minimise the £8.6 billion pounds worth of delays suffered each year by road users. Sheila Rainger, Acting Director of the RAC Foundation, said: “Trenches dug by utility companies cause congestion and delay, and can permanently weaken the road surface. Councils, who are already struggling to fund properly planned maintenance, are too often forced to “patch and mend” in their wake. * The 2008 ALARM survey calculates that 2.5 million trenches equates to 150 million cubic metres. The volume of the Albert Hall is 100,000 cubic metres. ** The Department for Transport’s follow-up consultation on Notices, Directions and Restrictions, Fixed Penalty Notices and revision of the Charges for Unreasonably Prolonged Occupation of the Highway showed that the cost of congestion of the then estimated 1.1 million holes came out at £4.3 billion.